In August, 2018 — immediately following Paris 2018 – Gay Games 10 — the Federation of Gay Games received critical funding to support its iconic Scholarship Program in the amount of US$25,000 from the Nike BETRUE Fund. The Federation recognizes the invaluable assistance of CAF America in the awarding of this grant, and specifically for the organization’s help in navigating the qualification and application process. The FGG and NIKE have had a working relationship dating from 2014 when the Gay Games Uniform Program made its debut. This successful program allowed teams preparing for Gay Games 9 to design and order customized, first-quality NIKE uniform components at discounted prices. This program was repeated in the months leading up to Paris 2018 – Gay Games 10. The BETRUE collection seeks to empower all athletes by supporting initiatives to end discrimination in sport. Since 2012, Nike has provided approximately $2.5 million in financial and in-kind support to LGBTQ causes. Nike remains true to its core belief that diversity and inclusion in sport make the world a better place for all. 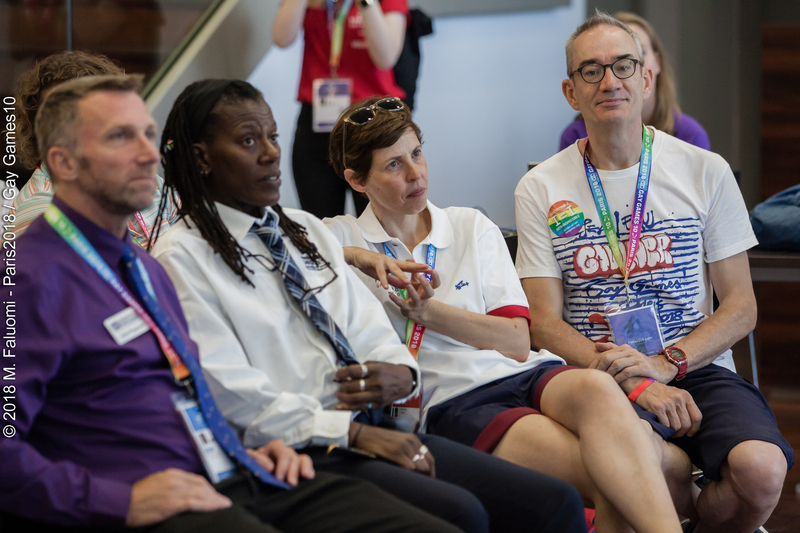 Since 1986, Gay Games Scholarships have been awarded to more than 1,000 underfunded individuals from 70 countries, providing recipients with demonstrated need with financial support and travel/documentation assistance to attend quadrennial Gay Games events. Without organizations like Nike who have embraced diversity and inclusion in sport, and the generosity of our global community of benefactors and supporters, the Federation of Gay Games Scholarship program would simply not exist and the transforming power of the Gay Games would remain just a dream for so many LGBT+ athletes and artists. Through sustained development activity, including direct fundraising, pursuit of corporate partnerships, and grant funding applications, the Federation of Gay Games will continue to push toward the US$100,000 scholarship fundraising objective supporting athletes and artists in need that want to experience Gay Games 11 – Hong Kong 2022. The need for individual donor contributions in achieving the FGG Scholarship Program’s cyclical target has never been more critical. Just as important as donations is ensuring that the 100% volunteer team that manages FGG’s scholarship program has access to committed funds at least 18 months in advance of Gay Games 11. That way, there is ample time to evaluate all the scholarship applications, select the recipients, secure maximum travel cost savings, and assist scholarship recipients in obtaining all necessary travel visas. Since 2012, Nike has provided nearly $2.7M in financial and in-kind support to LGBTQ causes, to advance inclusion and celebrate the passion and pursuit of sport by all athletes. Nike believes that diversity creates stronger communities and fosters innovation and growth.